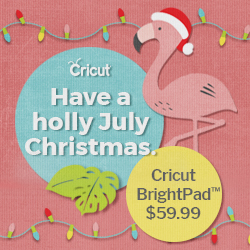 Chocolate and mint go together at Christmastime nearly as perfectly as Rudolph and Clarice. 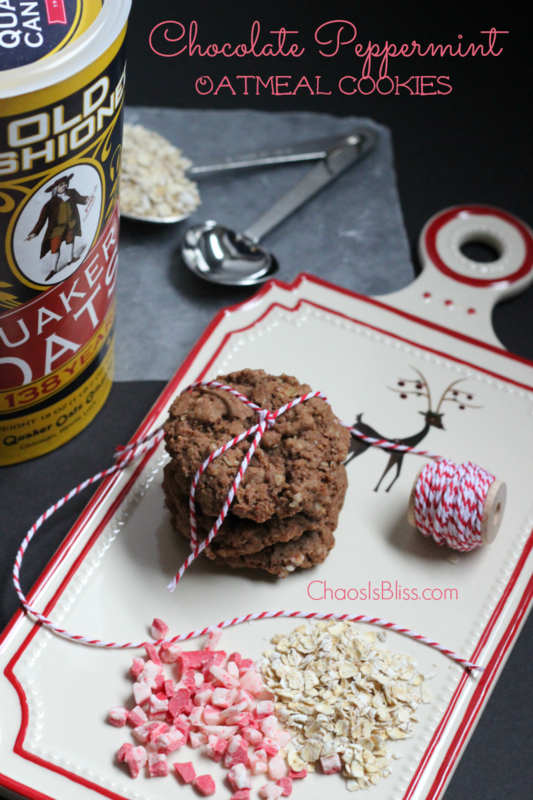 I tweaked a traditional oatmeal cookie recipe to include these flavors in these Chocolate Peppermint Oatmeal Cookies! 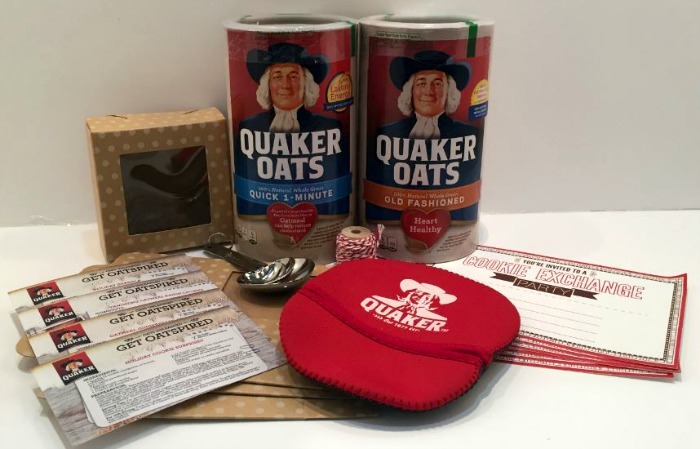 Quaker is celebrating the 100th anniversary of their iconic oats canister and sent me a fun product package, which I promptly opened up and used in this recipe! More than 138 years ago, Quaker defined the hot cereal category. They were the first to include a recipe on their product packaging (Oatmeal Bread, 1891) and in 1915 – 100 years ago – they designed a colorful, convenient package in a round cardboard canister form, decorated with the brand’s trademark image. Today, Quaker produces 120 million canisters at its facility in Cedar Rapids. Be sure to read to the bottom for your chance to win a Quaker 100th Anniversary Canister Kit full of all kinds of baking goodies! Preheat oven to 350°. Cream together butter, sugar and brown sugar. Add eggs one at a time, beating after each addition. Add vanilla. In a separate bowl, combine flour, cocoa, baking soda and salt. Gradually mix in to batter. Add oats slowly; dough will become stiff. Fold in peppermint baking chips. Drop by tablespoonfuls (this scoop makes it easy) onto an ungreased baking sheet. Bake for 11 minutes until set; cool 2 minutes on cookie sheet before transferring to a wire rack to cool completely. Tip: I did find these taste best the first two days; I baked half of the dough, and froze the rest to bake Christmas day so they’ll be warm and fresh! UPDATE: This contest is now closed. Congrats Kristin G.! Oven Mitt – always handy to have for baking! 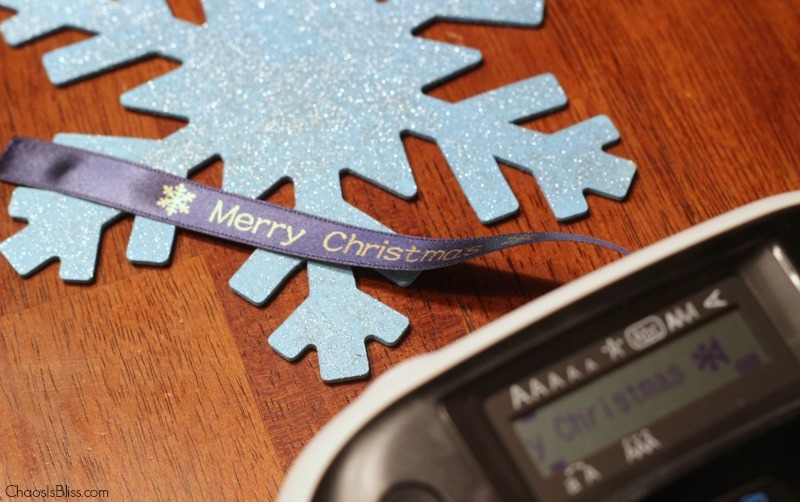 Cookie Exchange invitations – to invite your loved ones to be part of the treat gifting! 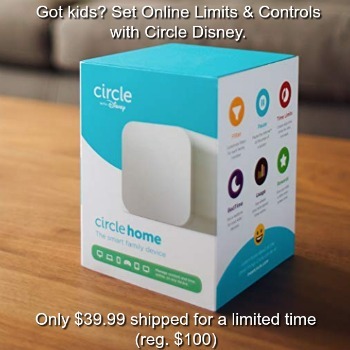 The contest is open NOW and ends on Saturday, 12/19/15 at 11:59pm ET. Good luck! Cream together butter, sugar and brown sugar. Add eggs one at a time, beating after each addition. Add vanilla. In a separate bowl, combine flour, cocoa, baking soda and salt. Gradually mix in to batter. Add oats slowly; dough will become stiff. Fold in peppermint baking chips. 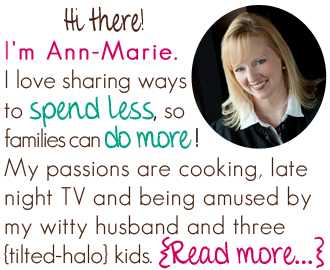 Drop by tablespoonfuls onto an ungreased baking sheet. Bake for 11 minutes until set; cool 2 minutes on cookie sheet before transferring to a wire rack to cool completely. the old fashioned way of oatmeal, but I do like an oatmeal cookie too. We eat oats every morning for breakfast with peanut butter! But I do love a good oatmeal cookie, too. In the mornings for breakfast with some fresh fruit and flax seed. 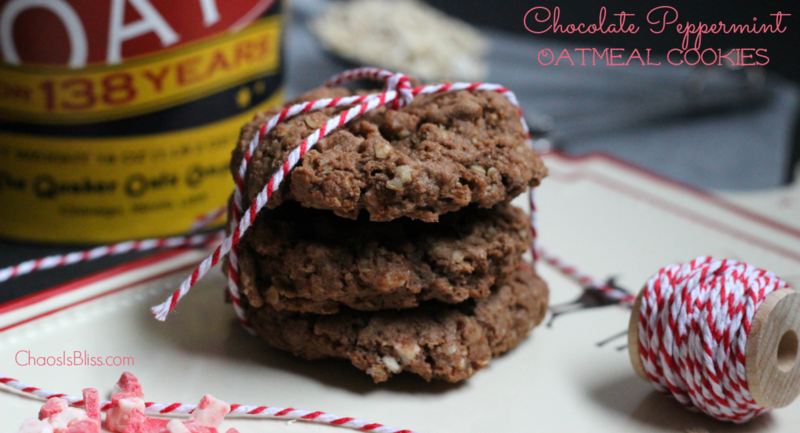 We love monster cookies too made with oatmeal. I love to have a bog bowl of oatmeal with butter and brown sugar. No bake cookies are my favorite! I eat it daily for oatmeal! I like it with milk and sugar. I also like to make Oatmeal Scotchies cookies. 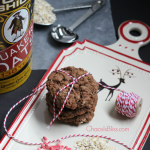 My favorite way to eat Quaker oats is in cookie form, preferably with butterscotch chips. I enjoy a hot bowl of Quaker oat oatmeal with a little bit of cream, brown sugar and raisins. I love my oats in my yogurt as well as just plain oatmeal! I love it with brown sugar and sliced bananas! I love Quaker Oats in No Bake Cookies. And I eat it for breakfast every day with a little milk and a little brown sugar.